Injustice 2 will release on PlayStation 4 and Xbox One on May 16, 2017. No word yet on a PC release date, but the original game did come to PC just at a later date than its console brethren. 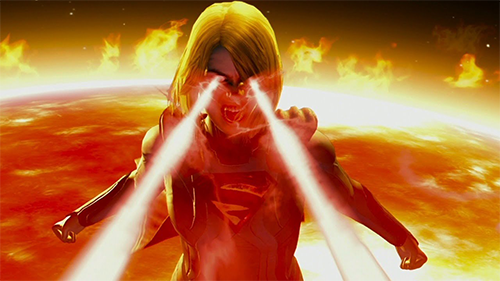 Injustice: Gods Among Us was a DC Comics fighting game from the team that worked on the Mortal Kombat series. That wasn't the first DC game for them however as Mortal Kombat Vs. DC Universe had previously released on the Xbox 360/Playstation 3 in 2008. The series pits classic DC heroes like Batman, Superman, and Wonder Woman against each other while mixing in iconic villains like Doomsday, Sinestro, and The Joker. Similar to Mortal Kombat, the game focuses on mixing combos and building up to use flashy ultra moves. The game was well received, and particularly loved for its ridiculous but lengthy single player campaign. Gamers that are still playing it are also in for one of the toughest set of achievements/trophies I've ever seen in a game. Injustice 2 will return players to a world where our iconic heroes will fight each other as is shown off in the most recent trailer. In this universe, Superman is an evil dictator who is imprisoned after the events of the previous game. The sequel looks to continue along that story line as Injustice 2's trailer shows what looks to be a recap of events in the previous game and concluding with Batman once again fighting against Superman while Supergirl takes on Wonder Woman. Take a look at the new trailer below and see it for yourself! 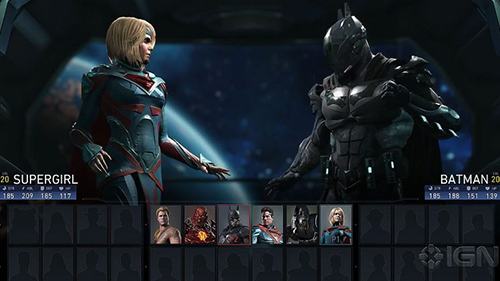 Injustice 2 - "The Lines Are Redrawn Trailer"
Since the game was first shown off around E3 2016, we have a decent roster of confirmed characters. With even more on the way! Here's the full list of who is confirmed to show up. If you're missing a beloved character, like I'm missing Cyborg, than don't worry because Injustice 2's developer NetherRealm Studios has a count down timer to their next character reveal. Keep an eye on it if you want to see who exactly is coming next to the game. If checking out Batman v Superman didn't give you enough of DC Comics heroes throwing down against each other than this game is sure to satiate you. 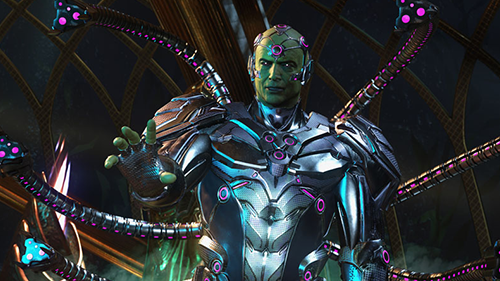 If you can't hold onto the wait until May 16th of this year then you could check out the original Injustice: Gods Among Us on PlayStation 3, PlayStation 4, Xbox 360, or Xbox One. Or if you're really desperate, swing on over to the app store to play a watered down version on either iOS or Android. And feel free to check out our review of the first game! Did the new trailer get you excited? Are there any characters you're hoping to see added to the roster? Share your thoughts below! What Is Next For Telltale Games? Which planet is Superman from?